This post is in a way connected to the Mining wind band Idrija or more accurately to the Idrija mercury mine (located in the western part of Slovenia). I was writing about that a few posts back. Do you want to know how mercury is extracted from ore? The cinnabar (aka cinnabarite) ore is burned in specially designed owens, so that mercury evaporates from it. Mercury is then cooled down and gathered. 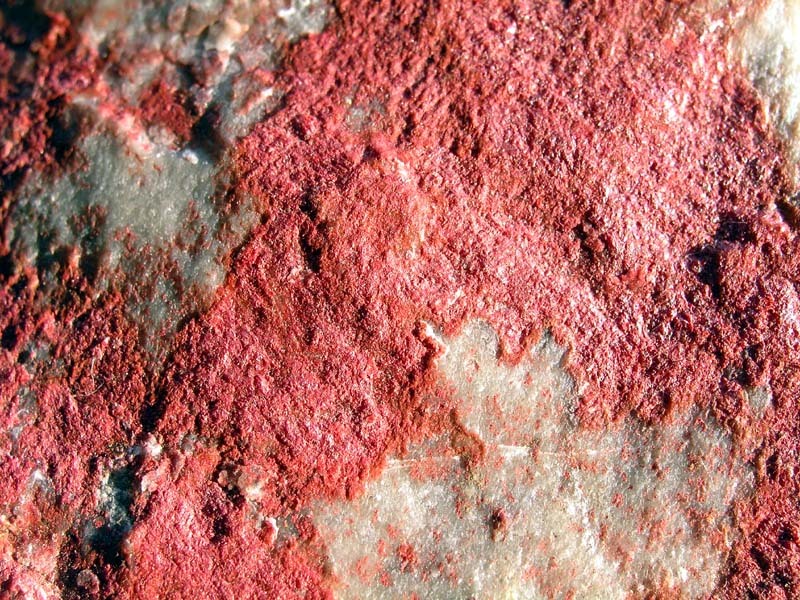 Almost everyone knows what mercury looks like, but not many have seen the cinnabar ore from which it is extracted. Here is my macro photo of it. The red color is where mercury is concentrated at.